This aromatic workshops gives you all the tools needed to craft professional, organic and beautiful skincare products from your own home and garden. Manufacture a botanical face & body scrub while learning the intricate details of skincare alchemy, ingredients, herbal medicine and exactly how to bottle this botany to last many months. You will walk away with two 120ml jars of rich and invigorating exfoliant made for you, by you. 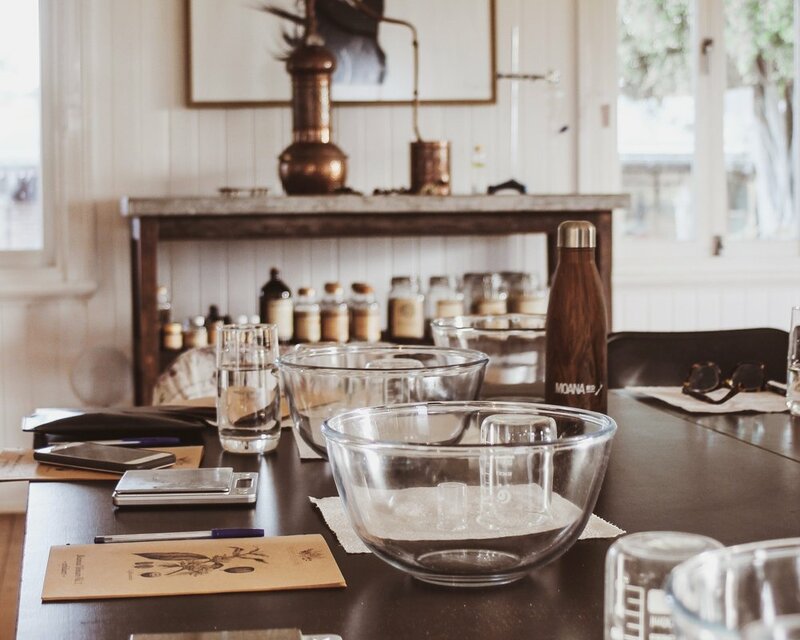 This workshop takes you on a unique journey from seed to skincare with botanical alchemy. Explore the world of how to grow, extract and manufacture nourishing handmade skinfood. Amanda Smith is your local skincare alchemist, sharing her wealth of experience in herbal horticulture, herbal medicine and organic skincare manufacturing. Her passion is to empower others by deepening the understanding of their gardens potential to create the products we turn to for health and wellness. By making your own skincare, you will see how viable, affordable, ethical and sustainable it truly is to DIY. All products are packaged in glass jars, so when it’s time to recreate the recipes at home, you can reuse and refill the same packaging for many years to come.